A 16-year-old boy has been charged with murder after a teenager was stabbed to death in the street. 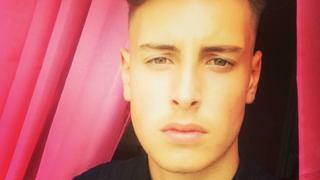 Kyle Yule, 17, was reportedly attacked while fleeing from a Renault Clio that was being vandalised by a gang in East Street, Gillingham, on 6 October. He died later in hospital. Victor Maibvisira, 19, of St Johns Road, Gillingham, has already been charged with murder and affray. Seven other people have also been arrested in the case. Of the seven arrests, two men aged 20 and a boy, 15, have been released while inquiries continue. Four others from Gillingham, two teenagers aged 15 and 16 and two men aged 18, have been bailed until various dates in November.